Notes: Rare cover even with a single stamp. The above Royal Mail Sports Centenaries stamps were issued on 10 October 1980 by Royal Mail and feature the following stamp designs: 12p Athletics; 13 1/2p Rugby; 15p Boxing; 17 1/2p Cricket. 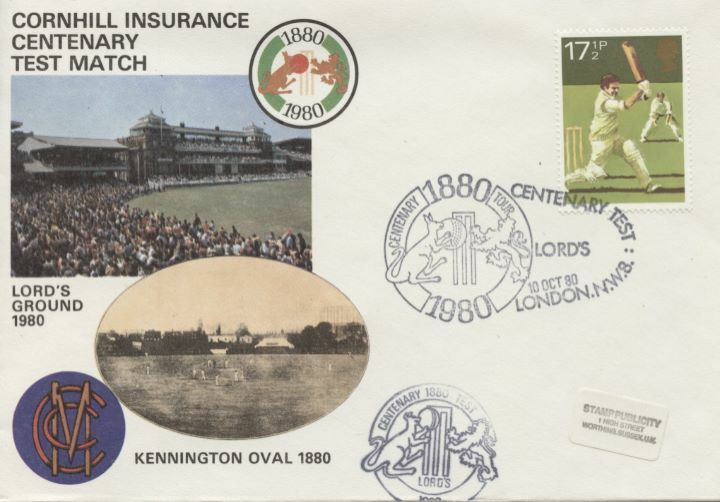 The Cornhill Insurance first day cover with the Lords Special Handstamp postmark has been produced by Stamp Publicity and features these stamps which can make a very collectible and lovely gift.